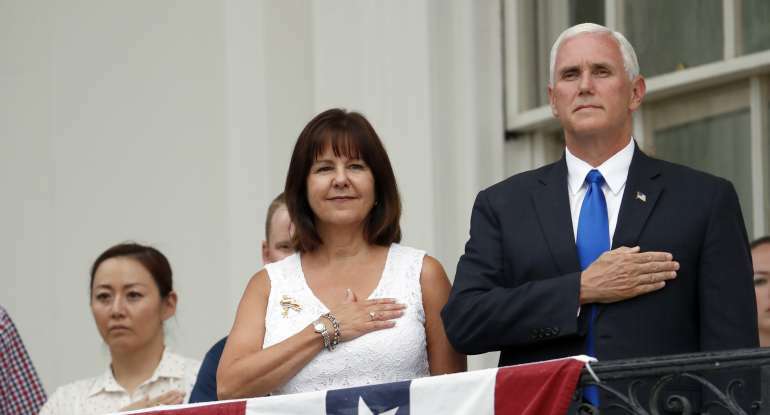 2nd Lady, Karen Pence decided to take a parttime job teaching art at a DC Christian school. Out comes the left and in a bigger way. The hashtag du jour is #ExposeChristianSchools. Anyone paying attention? Ah, but there is more to this attack on Christians and religious education. We had those like Congressman Ted Lieu slamming this privileged education. Then we also had Congressman John Yarmuth demanding that kids be banned from wearing MAGA hats, stating that they seem to be poisoning young minds. But wait, let us go back a few months, shall we? The Knights of Columbus is the single largest Catholic service organization in the country. Services to communities include being ushers during mass, charitable work and visiting those in prison. But hold on….let’s go back a little further shall we to Dianne Feinstein and her questions to Judge Amy Coney Barrett. Senator Feinstein doesn’t like Christians or Catholics either. Ah, but the GOP in the Senate passed an interesting resolution introduced by Senator Sasse. See the 2-page resolution here.